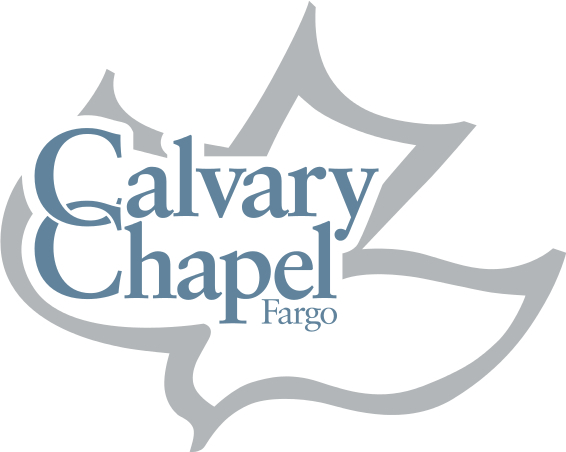 Calvary Chapel Fargo has been formed as a fellowship of believers in the Lordship of Jesus Christ. Our supreme desire is to know Christ and be conformed into His image by the power of the Holy Spirit. We began as a church plant of Calvary Chapel Saint Paul in the year 2000 and became a church in September of 2004. When we began, we had our services at a local hotel. Then we met for 4 years at a “retired” school building owned by the Fargo Park District. We have recently moved to our current location at 2796 5th Ave S. For more information you can browse our website or email Pastor Seth Wetter at ccfargo.church@gmail.com or call the church office at 701-232-1010. We love the Bible and declare that God’s Word is truth! We are dependent upon the Holy Spirit and believe and practice the baptism with the Holy Spirit. We believe in prayer and seek Him for His will and His gifts. We love God because He first loved us. We are thankful for the cross of our Lord, and for His forgiveness of our sin. May God receive all glory, honor, praise, and worship. The list of upcoming teachings for each Sunday Service and Wednesday Bible Study is meant for you to read ahead and come prepared to receive from the Word of God. Take the challenge to read them each day and come and see what the Holy Spirit teaches you. We pray that the power of the Holy Spirit is with the Word of God in your life. ​​His right hand and His holy arm have gained Him the victory. ​​His righteousness He has revealed in the sight of the nations. ​​All the ends of the earth have seen the salvation of our God. ​​Break forth in song, rejoice, and sing praises. ​​Shout joyfully before the LORD, the King. ​​For He is coming to judge the earth. ​​And the peoples with equity.